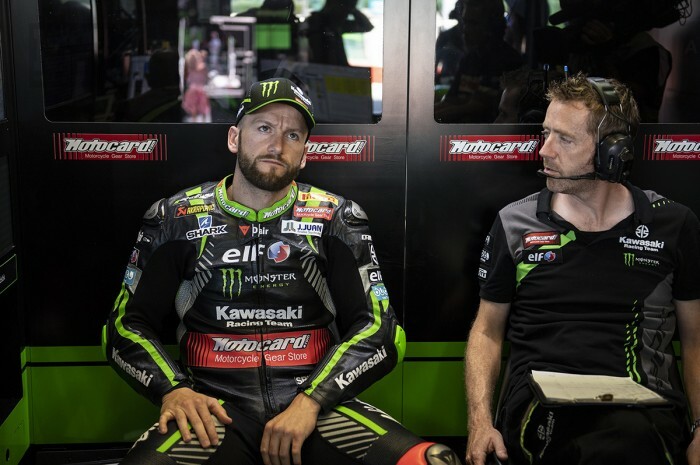 Kawasaki have today confirmed that Tom Sykes will leave their WorldSBK squad at the end of this season. Sykes has had a rough time over the past few years with various regulation changes moving the bikes further away from where he wants them. That, combined with some serious personal issues, have seen his performances drop below where he would expect them. “I feel the time has arrived; the moment to make a change in my career and seek new challenges. Having the motivation to push to your limits and that of your machine is all the more important when you look for the victory at every race and I feel I have given all I can within KRT,” said Sykes. “I am now the best rider I have ever been, and I have the experience and performance to keep winning. So now I have decided to make a step away from the KRT project for 2019 and look for new goals and challenges. I will now concentrate to finish on the podium for the last four rounds of 2018. Kawasaki will more than likely announce Leon Haslam as his replacement in coming days but it is not yet clear where Sykes will end up. He has been linked with a move to Shaun Muir’s team and also to Pata Yamaha, although that is fairly unlikely.